The Community of Caring (COC) was founded in 1980 by the Rev. Charles and Mother Mary Beth Kennedy to respond to unmet human needs: hunger, homelessness, illness and others. The agency was incorporated in 1983 as a non-profit human services organization that has a board of directors, staff, budgets, audits and other characteristics of a formal organization. There is also the informal level of COC, in which members simply pledge to do an act of kindness every day. The mission of the Community of Caring is to help impoverished people throughout the world to meet their unmet needs, both physical (shelter, food and clothing) and spiritual, so far as resources permit. This is to be done in a caring and compassionate way, reflecting the love of Christ, so as to preserve the dignity of the individual. 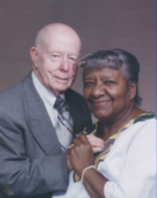 Elder Charles C. Kennedy and Mother Mary Beth Kennedy founded the Community of Caring in 1980. It is registered with the United States Agency for International Development (USAID) as a private voluntary organization. There are independent local chapters in 5 U.S. cities and in 8 countries in Africa and the Caribbean. Our philosophy is based on the premise that kindness and caring remain relevant in today's world. We feel that God's love flowing through others can change the world. We believe that love heals broken people, transforms shattered lives and empowers individuals to become positive forces for good. Thanks to dedicated staff and volunteers we have helped thousands of people throughout the years. We don't just provide basic physical necessities; we also feed the heart and spirit. People need love, acceptance, and a feeling that they can make a difference. COC provides a healing, nurturing community which makes this possible. Services are given based on need and without regard to race, religion, gender, or sexual orientation. I have to wonder why there is a statistic for how many people are out of work in this country, and why there are politicians who claim to be trying to bring jobs to their communities for everybody when that is not entirely true. I have yet to see any stats focused towards the people who are forever condemned and rarely forgiven or accepted in today's society.I am speaking of ex-felons/ex-offenders like myself who are not given the chance to correct mistakes or allowed to become productive members of society again. I myself have been home for almost five years and since my release I have been basicly unemployable and unemployed. In the past 4 plus years I have been home I have submitted over 3000 applications to companies in every field that I have some experience in, From what I have experienced first hand it is evident that the mind set in this country is Once a Criminal always a Criminal and that my friends is wrong. Yes, you do have to pay for your crimes and yes you do have to prove yourself worthy of trust in order to be accepted but, how can you do whats needed if you are never given the chance. I am also aware that the nature of your crime controls your destiny in your quest for progress and everybody is not the forgiving kind but how much more do we as ex-offenders have to pay in order to get Back In To Society. I made mistakes and I can't take them back but I can improve myself and move on with my life if given the chance.All I want to do is support myself and my family and I can't do that if I am not given a second chance.